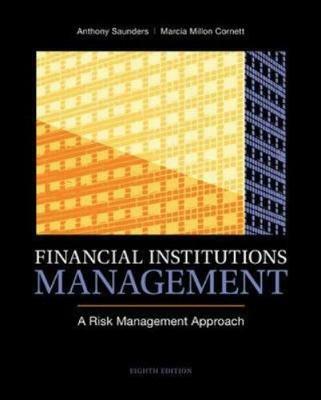 Saunders and Cornett's Financial Institutions Management: A Risk Management Approach provides an innovative approach that focuses on managing return and risk in modern financial institutions. The central theme is that the risks faced by financial institutions managers and the methods and markets through which these risks are managed are becoming increasingly similar whether an institution is chartered as a commercial bank, a savings bank, an investment bank, or an insurance company. Although the traditional nature of each sector's product activity is analysed, a greater emphasis is placed on new areas of activities such as asset securitisation, off-balance-sheet banking, and international banking.